"Known as the national game of India, Pagade is deeply embedded in the chronicles of history. A game for 2-4 players, Pagade is played with dice or cowrie shells. 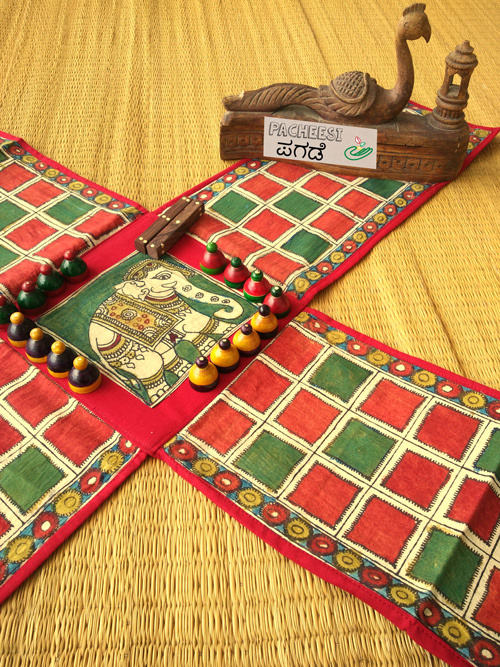 Available in an aesthically designed kalamkari game board, this set comes with wooden pawns and daalas"